Several weekends ago, Mark and I ventured into the wilds of East-central PA to scope out new sites to catch fence lizards in for Mark’s study of how latitude may affect fence lizard physiology. We had targeted an area where fence lizards had been caught previously on public lands, but, upon arrival, we discovered that most of the area was off limits, as it was either being used for ATV’s or as strip mines. 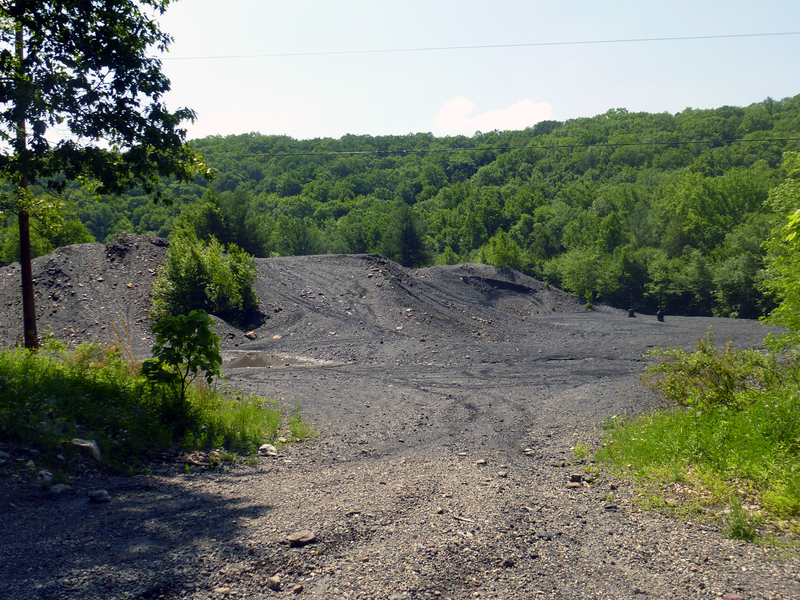 While mining and quarrying can create conditions that could be good for fence lizards by creating lots of edges and gaps for sunshine (though these conditions would be poor for many other species), these areas were a tad too disturbed (see below). However, we pressed on in our search, using our tried and tested equation of GPS unit + gazetteer, and found an area of state game lands that was worth exploring. While we didn’t end up finding fence lizards there (and I won’t talk about them for the rest of this post! ), we had unknowingly stumbled across the threshold into Cicada Country. 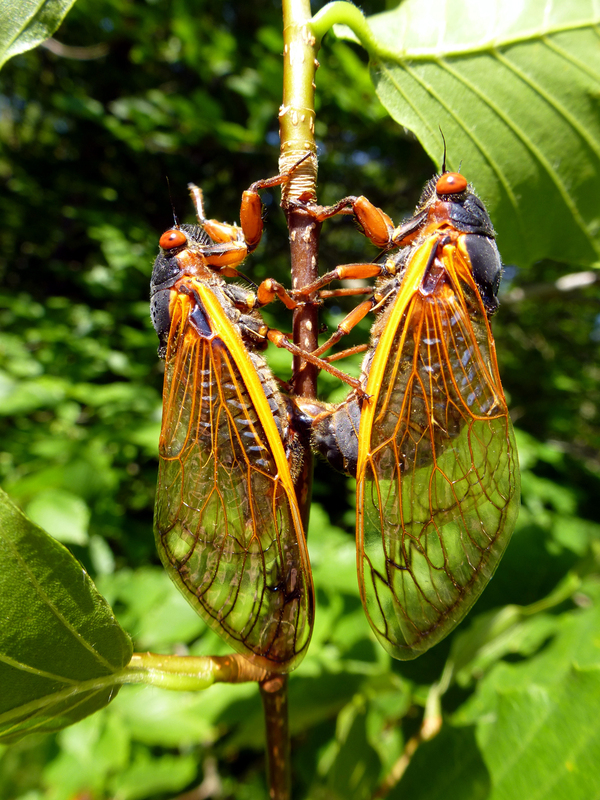 As soon as we opened the doors of our trusty minivan, we were greeted by the throbbing, persistently loud thrum of the cicadas’ song, which seemed to emanate simultaneously from all directions. Within a minute, while we were prepping our gear, each of us had 2-3 cicadas perched on our shirts, or hands, or shoulders. The van also proved a popular cicada hotspot, as cicadas lodged themselves behind the windshield wipers or in cracks in the van body, and snuck into the interior and called from the seats. 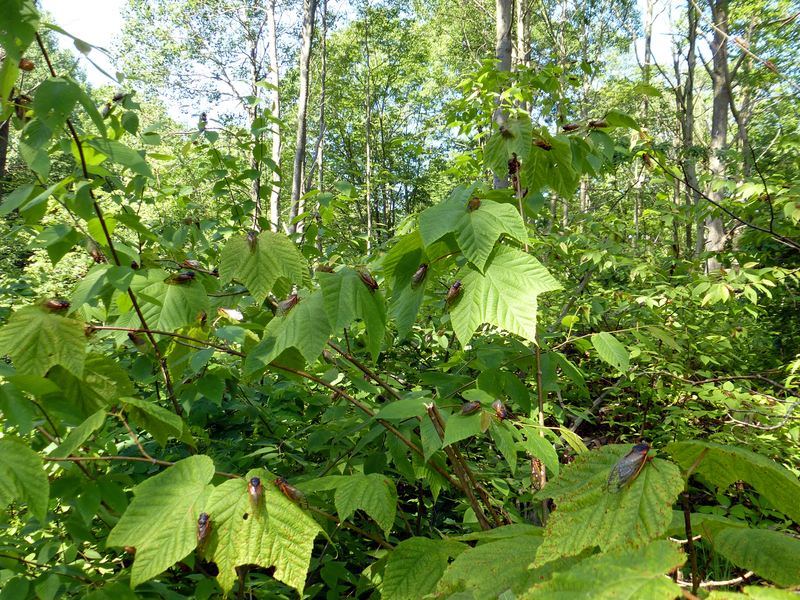 As we looked around the clearing we had parked in, we saw movement all around; cicadas were flying from tree to tree and leaf to leaf, and seemed drawn to the warmest, sunniest spots. 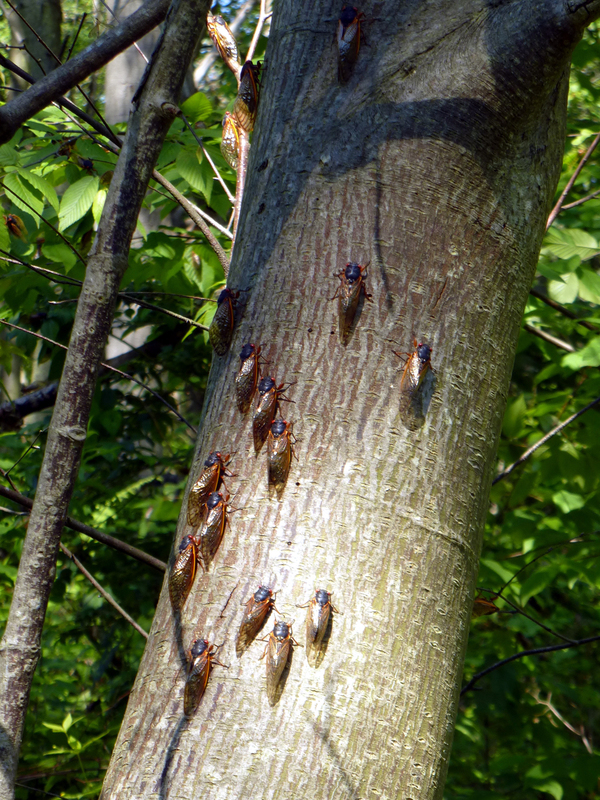 The small trees on the edge closest to us were quite literally crawling with cicadas, including mating pairs. As we walked around the game lands, Mark and I had to talk very loudly to be heard by each other if we were separated by more than 15 ft or so. 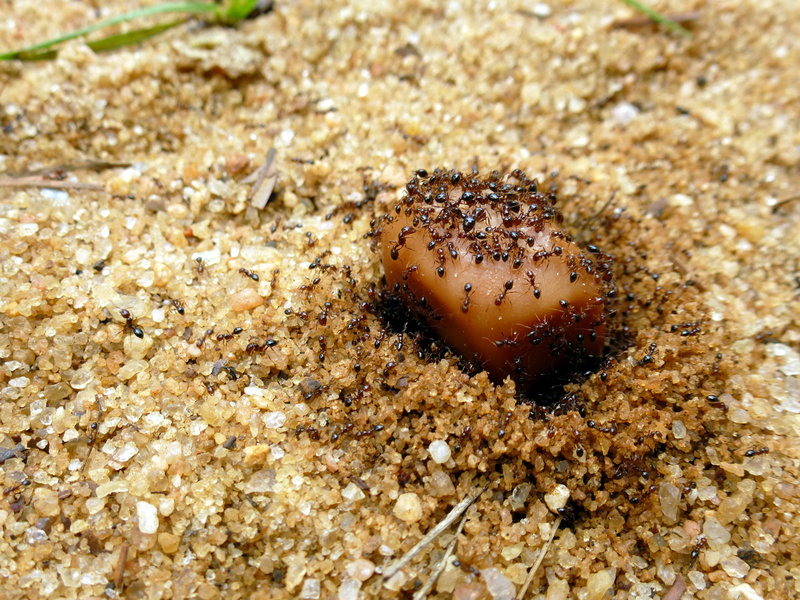 We also noticed the general tendency of the cicadas to land and crawl upwards. As we are members of the Langkilde Lab, it just wouldn’t be a fieldtrip without a destructive, invasive arthropod out in force. 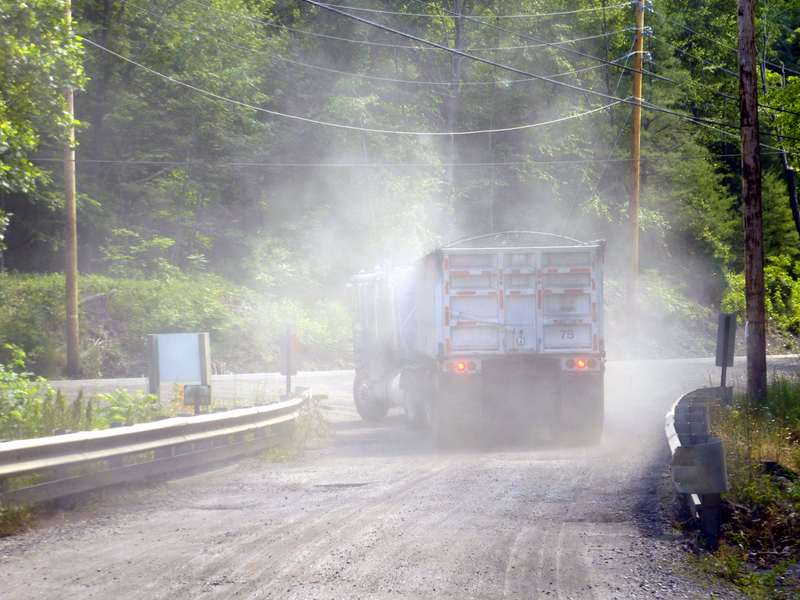 We also crossed paths with hordes of gypsy moth caterpillars, which were found in the shadier, more interior parts of the forested game lands. Gypsy moths (Lymantria dispar) are originally native to Europe but were introduced to North America in the mid 1800’s; they are now a major pest species and destroyer of hardwood trees. Below you can see them swarming up a tree trunk. 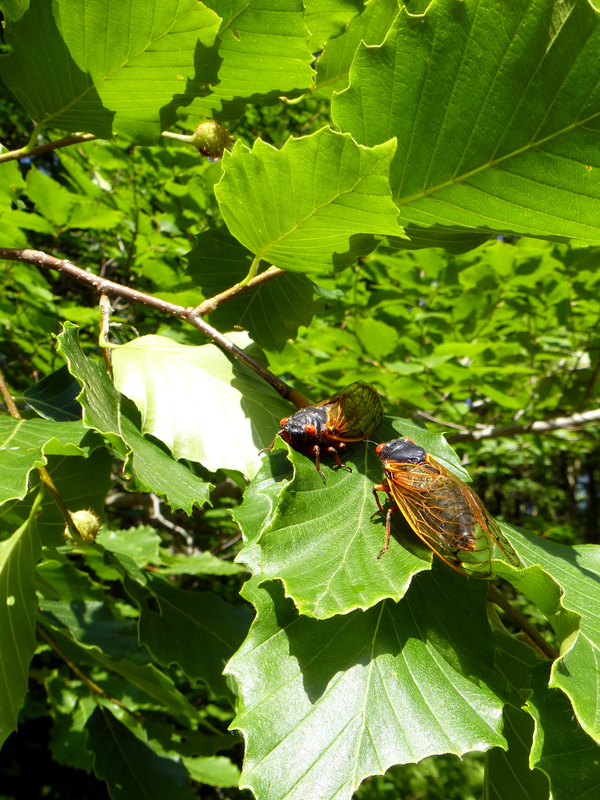 Categories: Fun in the Field, Research in PA | Tags: Biology, Cicada, Insect, Magicicada, Tree | Permalink.